Nagpur: Achieving a new milestone, the doctors at Super Specialty Hospital (SSH) attached to the Government Medical College and Hospital (GMCH) here, successfully removed the brain tumor while the patient remained awake and observed his surgery. In medical terms, it is called as an awake craniotomy and is first of its kind in the known medical history the district. “This is the first such awake procedure done in SSH. The patient was suffering from seizures, vomiting, and headache. The scan showed a tumour in the portion of the brain which controls the speech, limb movements and vision. To ensure that these functions are not affected during the surgery the patient is given only local anaesthesia while cutting the brain skull,” said Dr Lulu Fatema Vali, in charge of neuro-anaesthesia at SSH. The entire procedure was performed in one and half hours,while the patient was awake and talking to the anaesthetists and neurosurgeon. He was earlier counseled to react to the instructions like seeing, talking, moving limbs etc during the surgery. Dr Pramod Giri, Professor and head of neurosurgery department told mediapersons here that the tumour was pressing over many important areas of the brain, thalamus and the brainstem and Wermickes. 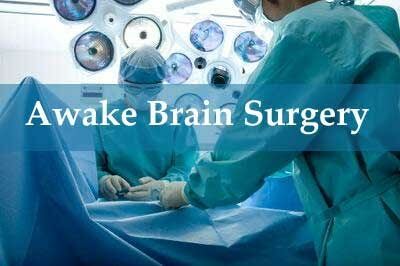 Hence, instead of performing the surgery in general anaesthesia where the surgeon would not know the effect of the surgery while operating we decided to conduct awake craniotomy, so that we could save all the basic functions of the body. “It was the only solution for best results,” he said. Dr Vali said that the awake craniotomy decreases the cost of drugs heavily as no general anaesthesia drugs, which are very expensive, are used.It also puts the patient back on the feet immediately after the operation. Dr Lokendra Singh, senior neurosurgeon and director, Dr M Taori Central India Institute of Medical Sciences (CIIMS) who has done quite a few awake craniotomy said, it is heartening to see that awake craniotomy was being done in government set up. The team of anaesthetists led by Dr Vali included Dr Rajesh Nagmote, Dr Abhay Ganar, Dr Ketki Ramteke, Dr Neha Gedam and Dr Neha Shahane. Awake anaesthesia is an old story of over twenty years . Not frequently practiced in India but frequently done in Europe . Almost all the centers around Austria are continuing with this practice . Pt. is awake talking . A low dose of Haloperidol and Fentanyl combination is given to the patient and pt. is monitored during the procedure . Oxygen and all the resuscitative measures are available at hand . Selection of the patients is very important for such techniques that means it is contraindicated in patients who have got increase of Intracranial pressure , even with those associated with significant cerebral Oedema.